Michael Bishop was an American artist who focused on creating images that challenged the viewer's perception. 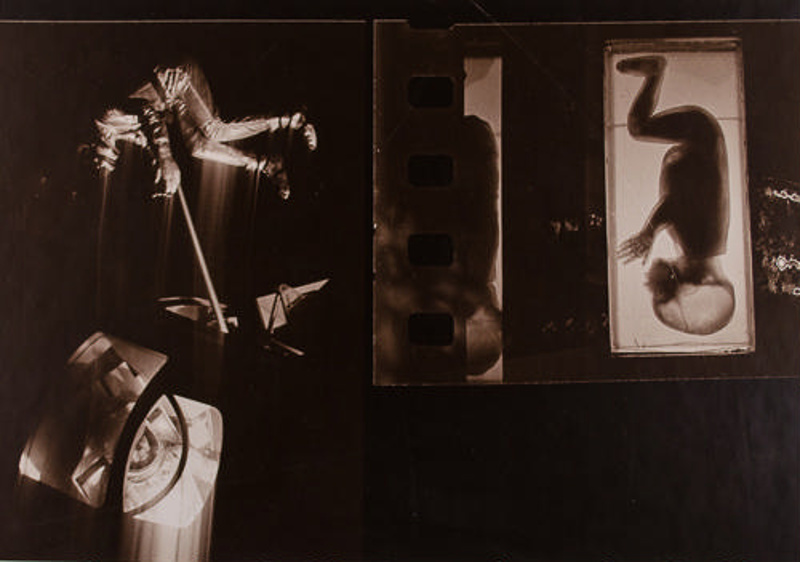 He was involved with the Visual Dialogue Foundation in the 1960's, was one of the first photographers to use the large 20x24" Polaroid camera, and was represented by Light Gallery, the first photography-exclusive gallery in New York. Bishop was known for manipulating his images, first using analogue techniques and then embracing Photoshop in its early days. titling himself a digital artist long before it was a common term. His work can be found in the collections of many institutions across the country. This contact print shows an image with two astronauts in a spacecraft, blurred by lines of motion. The viewer is also presented with a contact print of a negative showing a fetus, taken with what appears to be radiographic film. The immense black expanse ties these two disparate images together.